With a $50 Donation, you can Adopt a Taiji Dolphin and receive a life-sized dolphin. Our friends at Cetacean Dreams, an Australian company, have donated 200 life-sized dolphins for us to raise funds for our “Save the Dolphins” Campaign. With your $50 donation, you can choose an adult or baby dolphin. 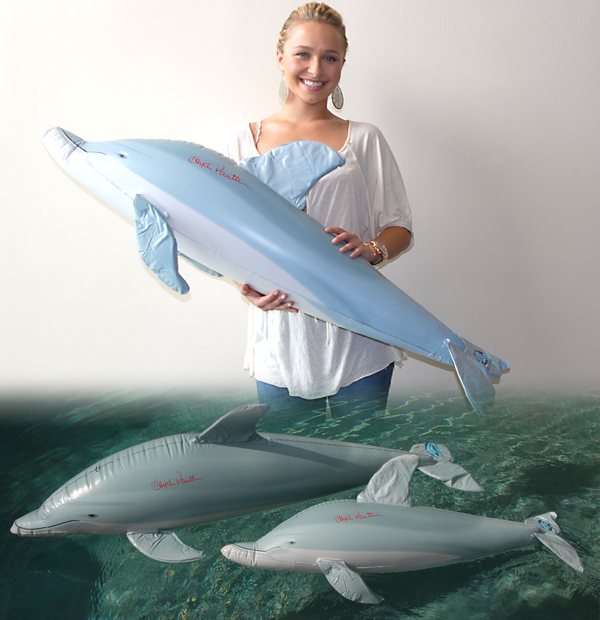 These inflatable dolphins will bring your kids endless hours of fun at the beach or pool. We will be returning to Taiji soon to continue our campaign and efforts to stop the brutal dolphin drive hunts in Taiji and the proceeds from this program will go towards those efforts and our “Save the Dolphins” Campaign! Great cause saving dolphins and whales! Guys to make this foundation i appreciated So MUCH! Love what you are doing guys. Really appreciate it. Love the fact you are trying to save the whales and dolphins of our beautiful God given earth.